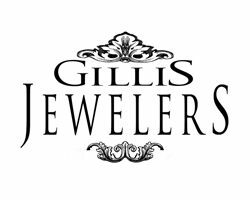 Gillis Jewelers specializes in custom made jewelry utilizing CAD-CAM software, metal fabrication, and hand-carving wax skills. We have a state of the art studio that enables us to make high quality jewelry through reproducing vintage as well as coming up with new concepts. 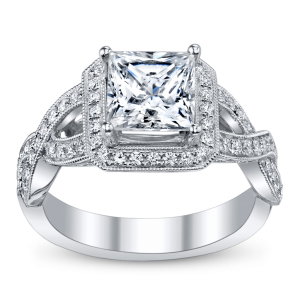 We can custom design and produce engagement rings, wedding bands, pendants, bracelets, and nearly anything else you can imagine. At each step in the custom-design process, we encourage the client to express his or her opinions and be involved. We want each piece we create to reflect the clients own personal desires and leave them absolutely delighted with the final product. We begin with a meeting in which we discuss preferences and ideas, make hand-sketches, and establish timeframe goals and budget for the jewelry. We can do this by email and phone if you need. We do work for clients all over the United States. Next, we create CAD (Computer-Aided Design) drawings and illustrations for review and approval. These illustrations allow us to show you a remarkably lifelike rendering of what your piece will ultimately look like. The beauty of this tool is that what you see is exactly what you get—unless of course you don’t like it, in which case we will alter it. This step is the lengthiest and can take several weeks from conceptualization to conclusion, but we communicate with you often and do everything we can to update you on the progress of your piece. Once the images have been approved, we make a wax model to allow us to see the design in 3D. Again, the wax model is an exact replica of the finished product, and will ultimately BE the final piece by way of the lost wax casting process. Once any flaws/desired changes have been corrected, the item is cast, cleaned, polished, set with gemstones, and finally ready for the customer. Many customers come to us with an idea of what they want their piece to look like, but even if you’re not sure, John, the owner/master jeweler, will work with you to create a beautiful piece. Simply put, if you want a custom piece, we can and will make it work. We’ve been doing this for 20 years, and our goal has always been to satisfy our clients with heirloom-quality affordable, meticulously crafted, one of a kind treasures. It’s exciting to be a part of a process that starts with an idea and becomes something that is uniquely yours—and you are involved every step of the way!